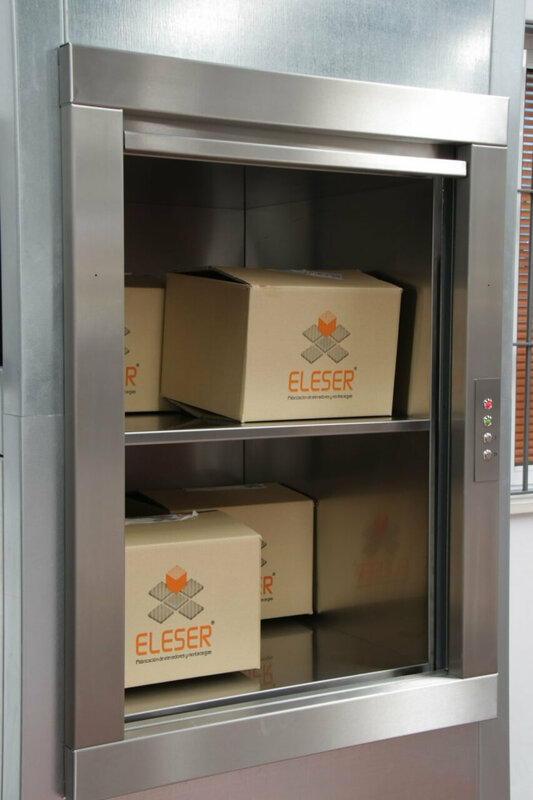 Microlift designed for the vertical transportation of small loads, in the sectors of Industry, Commerce, Services and at Home. Double-click at the image for full-screen. 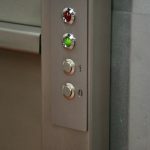 Mini elevator for the exclusive use of small goods. 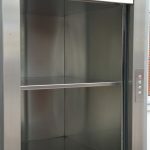 A service lift robust and easy to clean. It is versatile at vertical transportation of small material. Permits to optimize the space. Electrical action with variable-frequency drive, for smooth starts and stops. Model DW 50 for 50 kg. 110lbs. load. Model DW 100 for 100 kg. 220lbs. load. 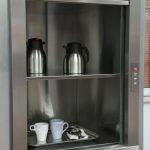 Dumbwaiter for hospitality industry as restaurants, bars, coffee shops or hotels. 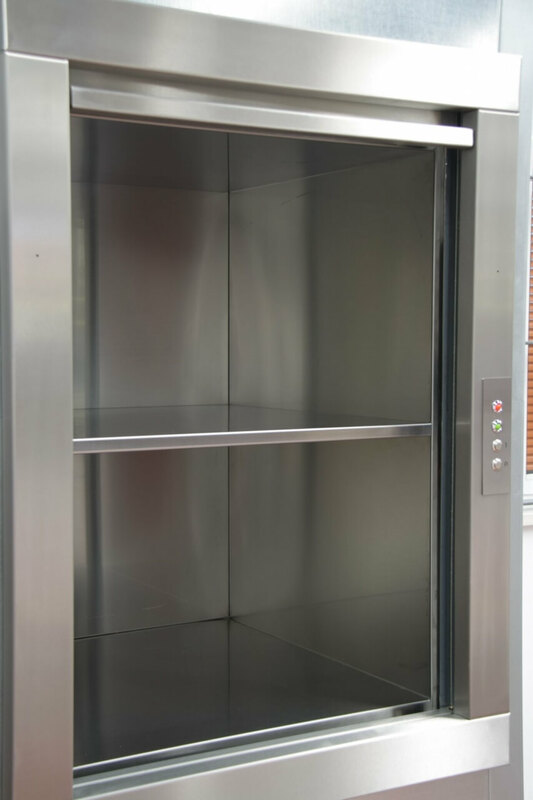 Mini goods lift for retail, like shoe shops, bag shops, boutiques, etc. 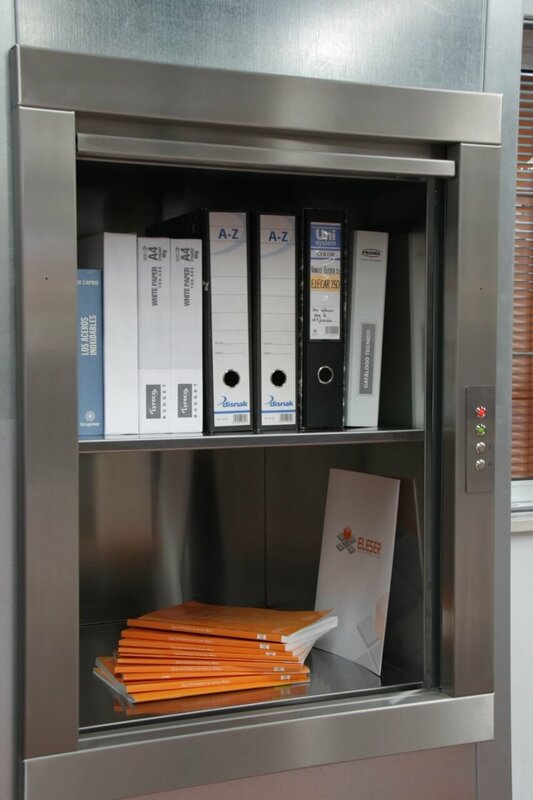 Books-lift for libraries or bookstores. 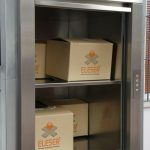 Instruments-lift for hospitals, clinics or chemist’s shops. 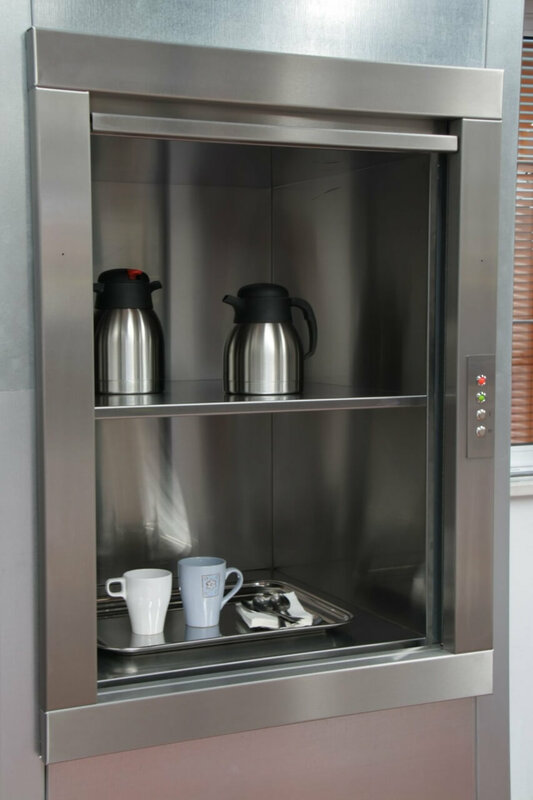 To carry clothes, household goods and plates at private kitchens, it allows a less physical effort and keeps a better order at home. Standard cabin height: 800 mm. and maximum: 1200 mm. Motor power: 0.37 kw or 0.74 kw. Stainless Steel cabin. 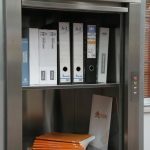 Removable intermediary shelves. 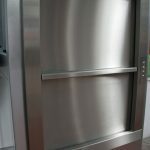 Doors: manual bi-parting type (guillotine) with 2 vertical opening panels, stainless steel finish. 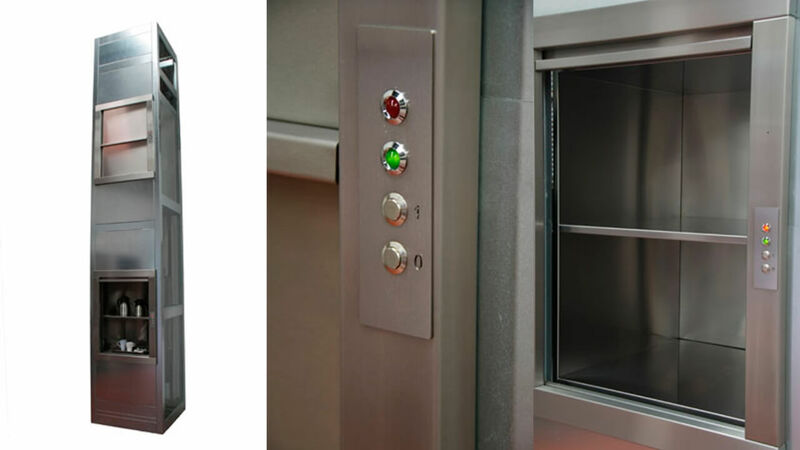 Clear Opening from 400 mm to 800 mm Landing operating panels with send control to each floor, as well as present & in use light indicators. 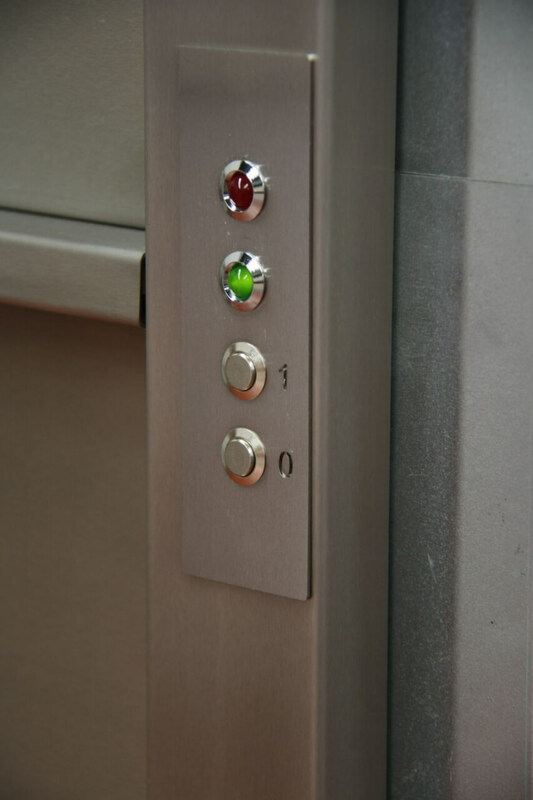 Acoustic alarm (buzzer) for lift arrival at floor. 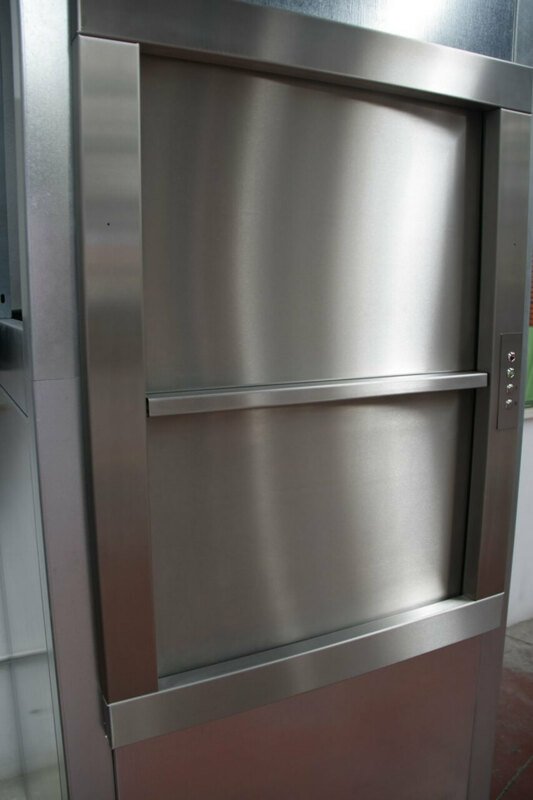 Enclosure for structure, manufactured in galvanized metal sheet. Final limit switches for car & counterweights.